Time for some completely fresh business from a relative newcomer to the scene, though we’re sure the name Cosmonection will be on your radars soon enough. The Parisian producer knocked us off our feet with a beautiful debut back in March this year on the fledgling Pont Neuf imprint. His ’10 Feet Before The Horizon EP’ was loaded with the just the kind of spaced- out, synth-heavy deep late night house that gets us all aquiver over here, so when a demo popped into the inbox we were all over it like a donkey on a waffle. 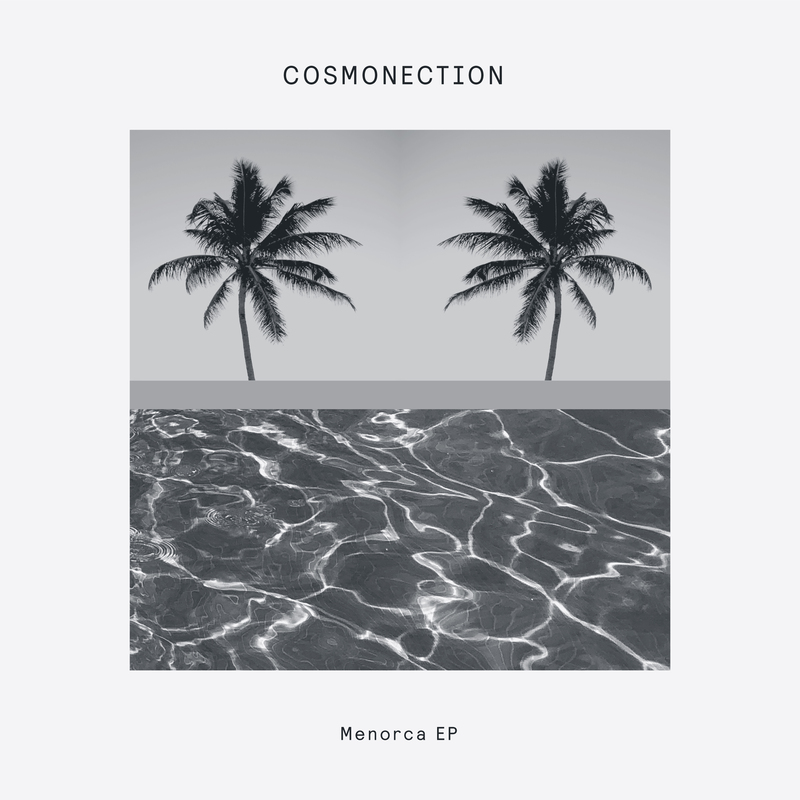 Here we present you with the Menorca EP; three blissed-out synth jams which explore the space between Balearic euphoria and Detroit futurism. On the title track a mournful Moog lead takes centre stage floating over a rising chord progression whilst punchy 909 drums bring the groove to the dance floor. Next up, You picks up the pace for a deep and dubby house workout where soft focus pads converge with clattering percussion. Fragments of chiming melody bouncing around the stripped back groove. Flipping over we have Light which shows Cosmonection at his most musical, layering up arpeggiating synths lines through a slowly building intro until a heavy groove with hefty kick joins the scene. The arrangement ebbs and flows as the rhythm drops out, rising synths creating anticipation and tension. This track feels like an ambitious fusion of musical styles and textures with 90’s ambient colliding with Underground Resistance and coming up with a fresh sound for 2018 in the process. Rounding off the record we have Delusions regulars, DJ supremos and all- round good guys Session Victim taking the reins on a remix of You. Keeping the warm, feel-good pads, the German duo inject a new found shuffle to the groove, bringing a wide-screen sensibility which adds a sublime yet dance-floor pleasing dimension to the release.